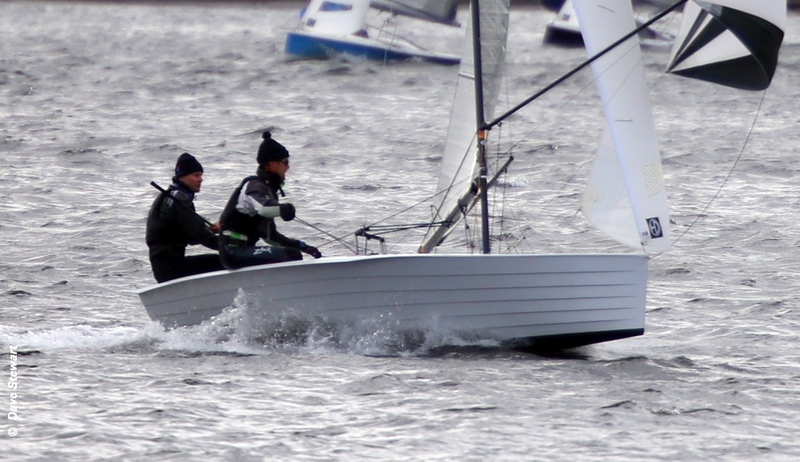 The Merlin Rocket Silver Tiller open at Bartley SC was won by Chris Gould and Chris Kilsby in their new, apparently super-fast, Merlin. Two wins from the three races put Gould and Kilsby a point ahead of Andy Davis and Pippa Kilsby with Simon and Ally Potts in third. Chris Martin and Sam Bailey rocked the Silver fleet. It was great to see some new young talent coming into the fleet in the form of Matt Smith and Jared Lewis, who took the Bronze fleet prize. The fresh breeze was somewhat chillier than expected (it was still March after all) but provided great entertainment, for both those on and off the water. The next event in the Silver Tiller is Sunday 7 April at Midland SC one question is, do you have to sail with a Kilsby to win? !